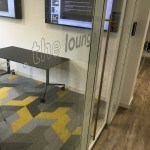 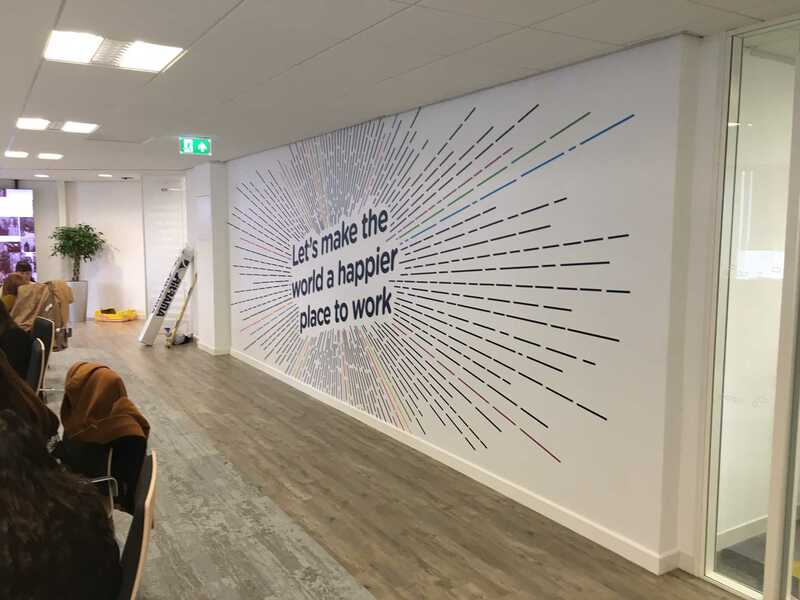 As you can see from the photos, printed vinyl on a full wall can have a great visual impact, it’s eye-catching and emphasises the brand values to everyone who walks past. 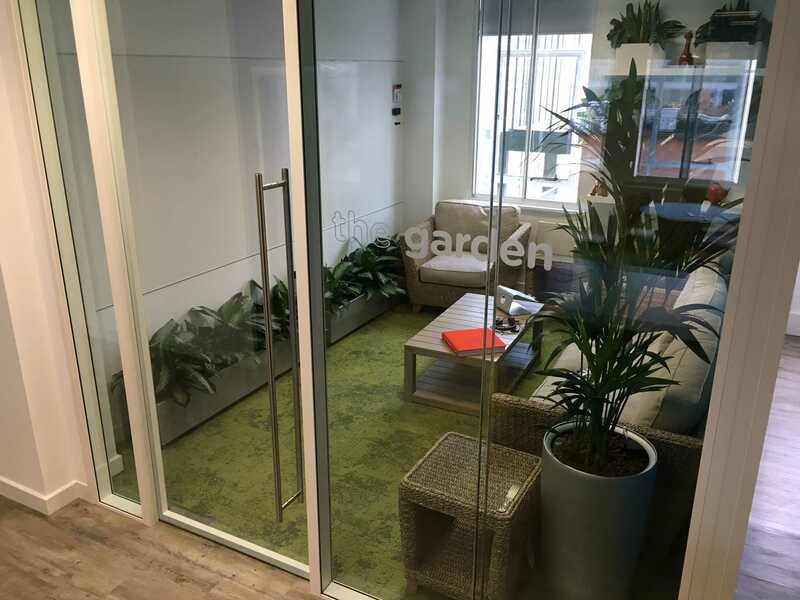 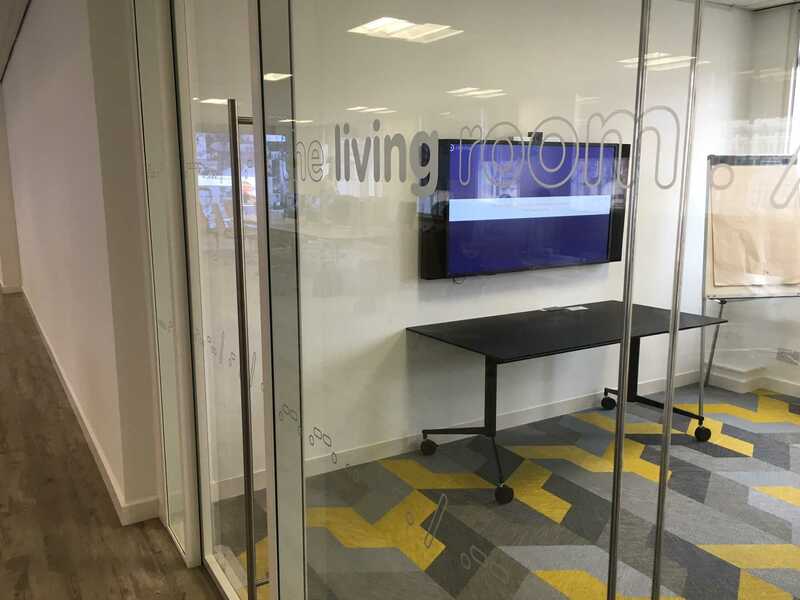 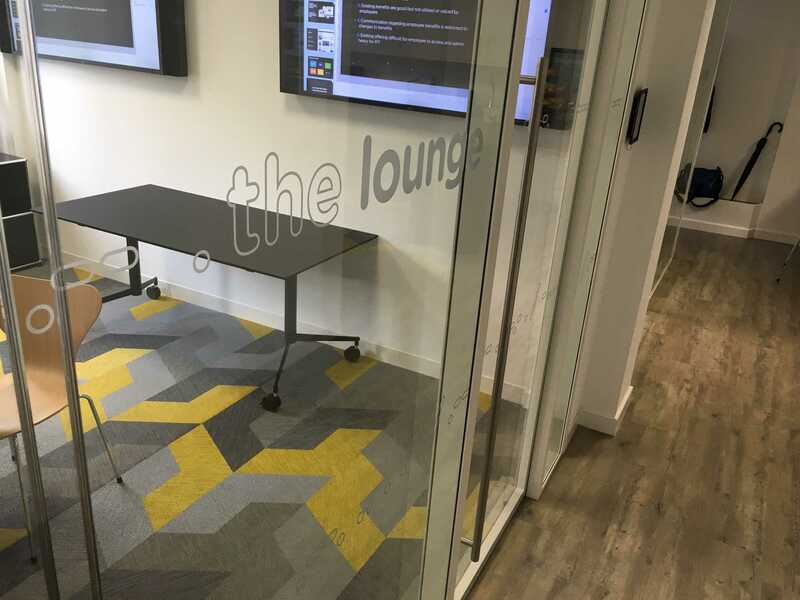 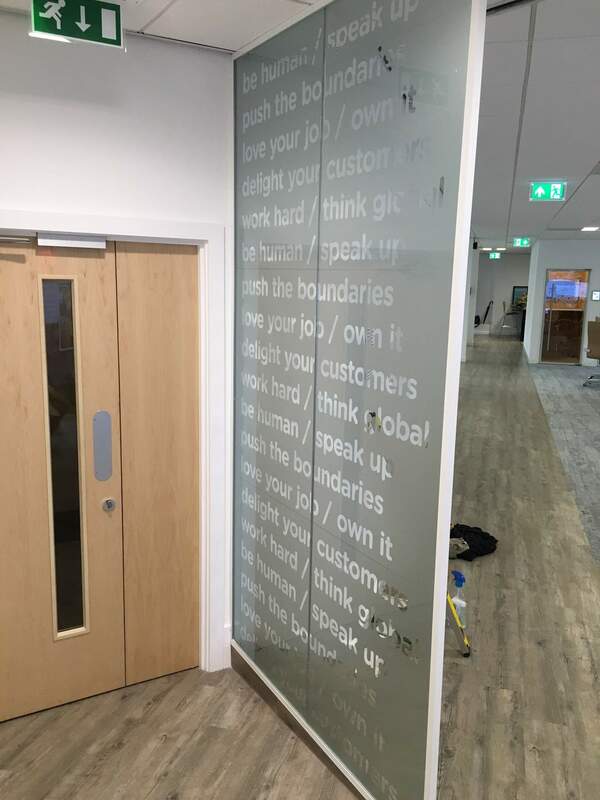 We provide our wall vinyl with a Matt Lamination as standard – this helps protect it from scratches and marks from passing traffic. 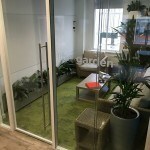 Rewards Gateway also chose etched vinyl for their meeting rooms and entrance. 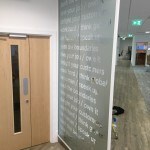 Also known as frosted vinyl, it’s a great option for naming rooms, decoration and for safety. 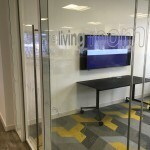 Because it still lets light through, etched vinyl is also great for full window coverage to provide privacy where needed. 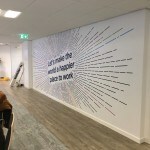 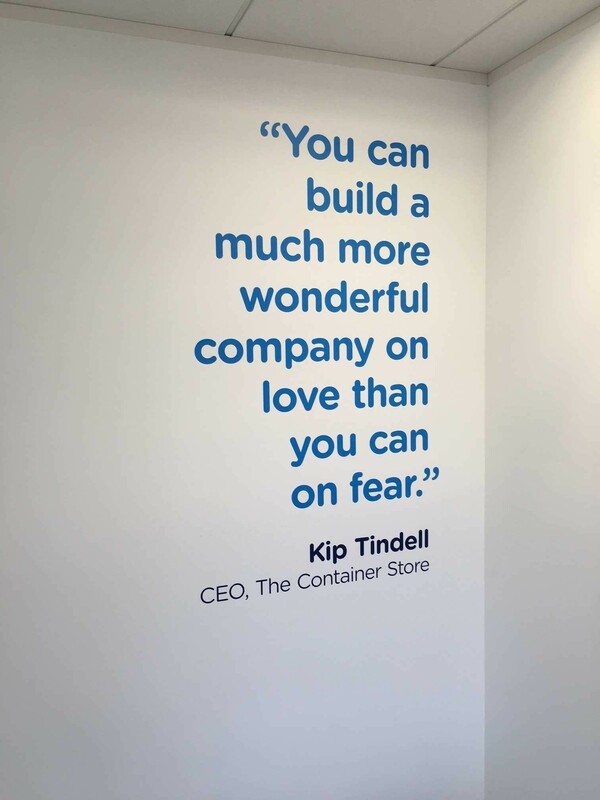 Finally, we used cut vinyl to produce an inspirational quote on one of the walls in the office, this is a great option where you don’t want full wall coverage or have a painted wall.